Charlie, an Indie game developer from UK, makes fun score oriented arcade shooters. Under the name of Charlie's Games, he has released some nice games for Linux, two of them are now available in software center - Irukandji and Bullet Candy Perfect. 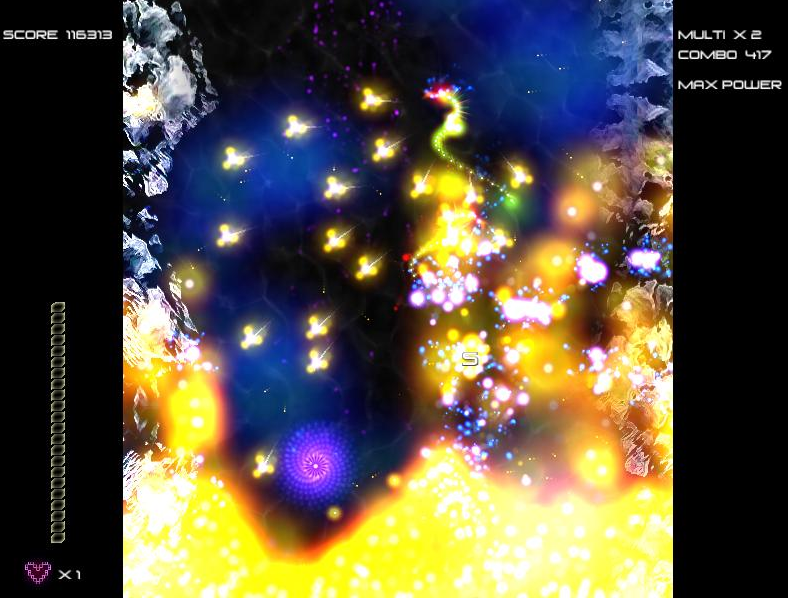 Irukandji is a fun score attack shooter, set in an abstract underwater trench. You fly your ship against the flow of hundreds of amazing procedurally animated sea monsters, blasting your way to the final showdown – a Giant Enemy Crab! As you play, you unlock a variety of different ships each with its own unique weaponry and play style which offers a different way to play the game. There are also 10 challenging achievements to attempt, and online scores for each ship. Bullet Candy Perfect is a fun shoot-em-up game, with sharp, super smooth 3D graphics and a cool techno soundtrack. The game is all about honing your skills to perfection as you attempt the perfect run. These are quite addictive shoot 'em up games, perfect for netbooks. Irukandji is available in software center for just $3 and Bullet Candy Perfect is available for $5. You can also check out Charlie's website for some other cool shooters for Linux.